The saying made popular by Phoebe in Friends. She says that lobsters mate for life, and you can even see them holding claws in their tanks. 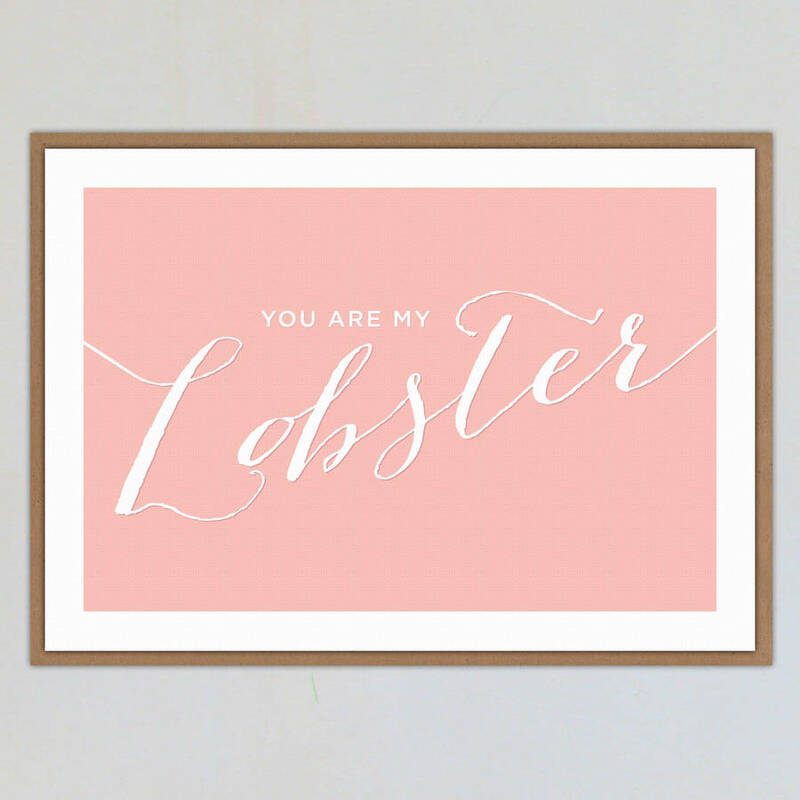 "You are my lobster" declares that you have indeed found your one true love, your soul mate. This lovely quality greetings card is perfect for valentines day cards, wedding anniversary or just to say you love someone. This card is printed on luxury textured card and provided with a brown fleck recycled envelope. The card is blank inside for your own message. However you can now choose to send this card direct to the recipient, which is perfect if you are overseas, in a hurry or want to save on some postage. 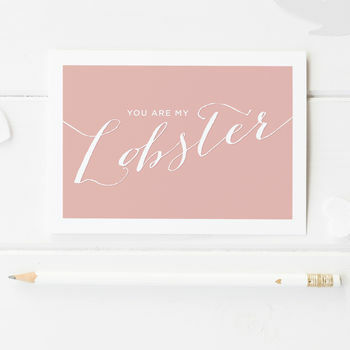 Cards chosen with this option will include the message handwritten exactly as specified in the text box provided, and sent in an envelope directly to the contact name and delivery address provided. It is packaged in a cello wallet and posted in a board back envelope.